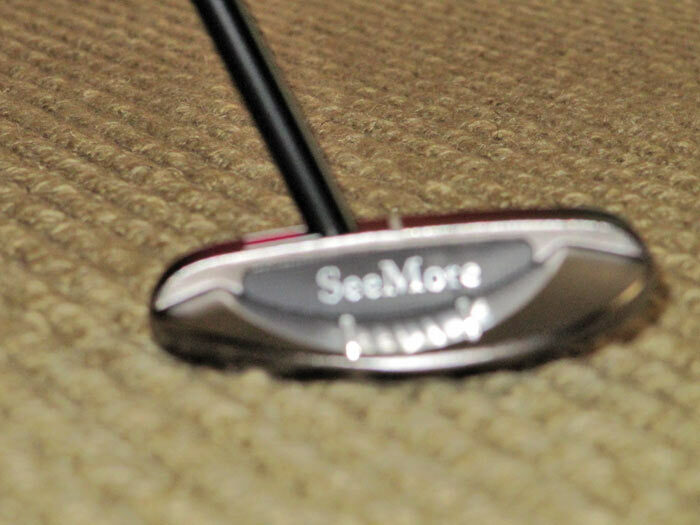 SeeMore Si Series Putter - REVIEW! 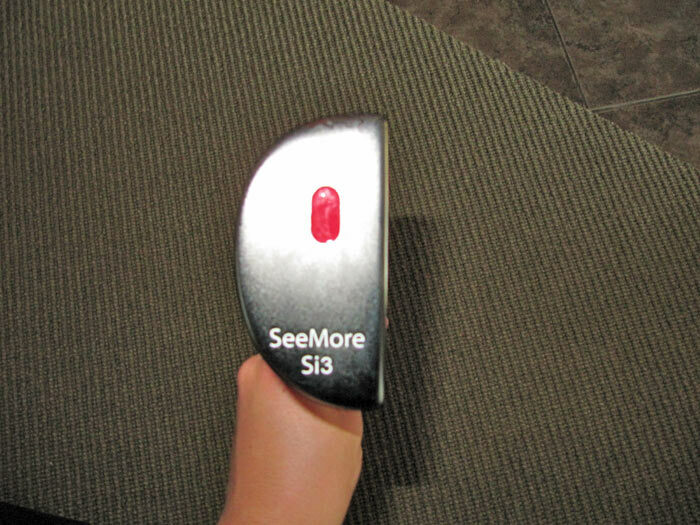 I was one of the lucky few to win the golf lottery and had the pleasure of trying out a SeeMore Si3 series putter. I would first like to thank Mygolfspy for this amazing experience and hope that my fellow winners will write a review that way we can keep this amazing program going. The grip is a Winn AVS which seems to be the grip choice among all putters ( ping and odyssey i believe use these exact grips) The grip is a medium grip with a little tackiness to it. I gave it an 8 because i prefer a firmer cord grip, but if you like the ping and odyssey grips then you will love this grip also. The feel has a nice little click to it when stuck, you can really feel it coming off the face when stuck in the center. 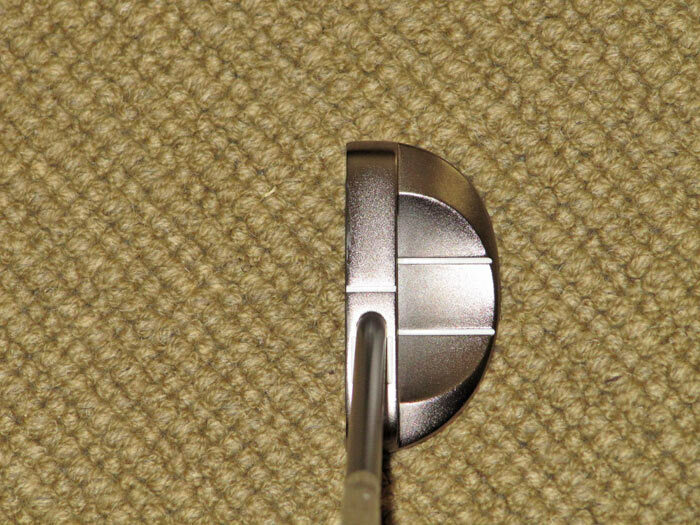 I like the feel but when stuck slightly off center the feel is a bit harsher no for a player wanting to know when they haven't stuck it on center this a really good thing as for my self i like it to feel the same unless i really hit it off the toe or heel. Now when you hit it center it has a firm yet soft feel. I can't seem to post the pictures i have taken. I will try to figure it out and post them when i can. What ball where you testing the putter with? I heard a pro saying a while ago that he doesn't like the site dot theory as for him it does not allow you have a proper press forward at address. So I guess the SeeMore putters will only work for people who don't do that. I was using a Wilson FG tour and Pro V1, They do have models that have a shaft bend which might eliminate the problem. I have a slight forward press and i know Zach Johnson actually has his hands back and I didn't have a problem. Just a quick note - would like to introduce myself. My name is Ted and work for the SeeMore Putter Company. Will be happy to help as much as I can with any questions about the product or putting. Would love to get your feedback on the models, feel and the SeeMore system. 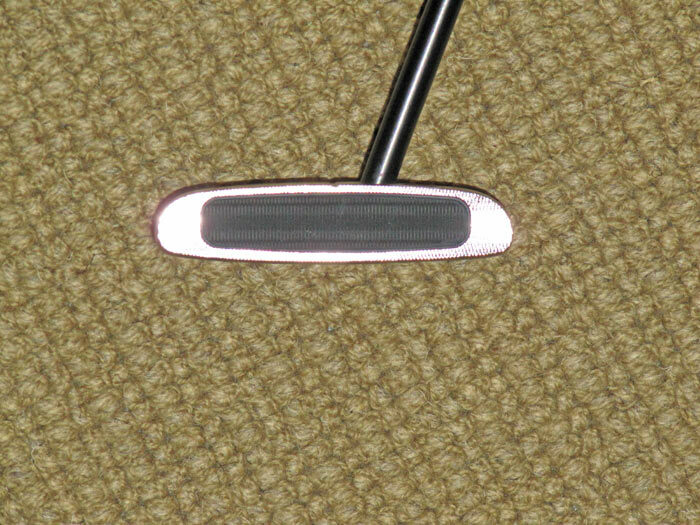 You are correct - all of our putters that have a "w" attached to it stand for "whistle" shaft. This is our offset shaft. Why whistle - because it is a hair of an offset not a full offset. We have had great response from the feel of our new Si Series putters. Thanks for the nice review on the putter and if we can help in any other way - do not hesitate to contact me. Have a great day.